Wonderful step by step oil painting demonstration from artist Daria Callie on how to paint the human eye. Visit her youtube channel here for more great videos like the one below! Enjoy my fellow artists! Great lesson on building layers in an oil painting by artist Lena Danya. Visit her YouTube Channel here for more great lessons and tips. Visit her website here! Improve your Color Mixing by Making Color Charts! The following is an excellent three part video lesson created by artist Thomas Baker on making your own color charts. Visit the artist’s YouTube channel here. Visit his website here. 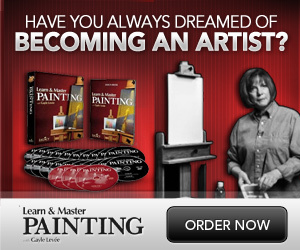 Improve Your Landscape Painting Skills…Paint Outdoors!!! !